"The course was well-paced. The examples used to illustrate points were excellent. 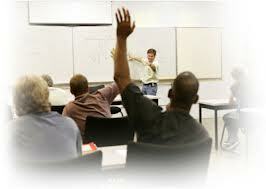 The instructor was always engaging and provided great feedback and availability for follow-up. My number one take-away and what I am immediately implementing is the integrated schedule process." Trainers need to do more than teach. They need to obtain buy-in (active, enthusiastic participation) from other organizations and budgets from management. Then they need to organize e-Learning projects so that they are delivered on time and on budget. This seminar provides trainers with successful strategies to obtain buy-in and methodologies to organize and manage e-Learning and m-Learning projects. Through lectures and interactive exercises attendees learn successful strategies to develop cross-organization participation, identify the right process for their projects, and organize/manage the e-Learning and m-Learning projects.